In June 2011 we had the pleasure of spending some time in London to make a participative project with students at the City of London Academy, Islington (on the invitation of the Barbican). 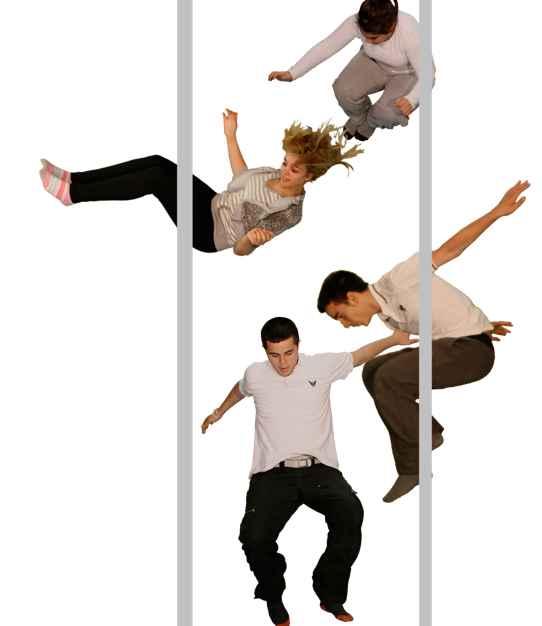 We shot over 2000 photographs of teenagers in the air to make a large scale photographic composition on glass on the theme of The Leap, which we finally installed in April 2012. Many thanks to all the students and staff who took part, and to the staff of the Barbican, especially Lindsay O’Nions who followed the project from conception to realisation.